New this year, UConn's Pre-College Summer Data Science course provides high school students the opportunity to dive into the ever-expanding world of data science at a nationally ranked public university campus. That’s a hard question to answer, especially for high school students. 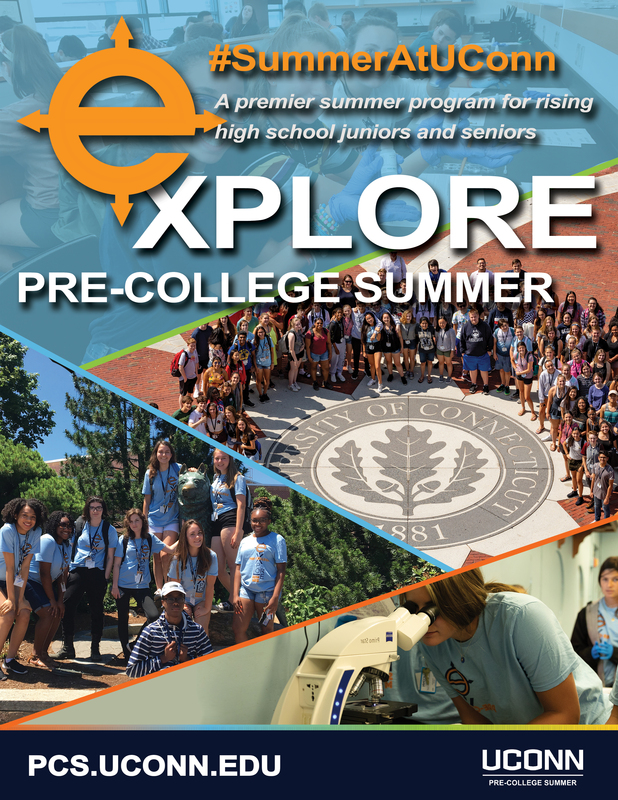 UConn’s Pre-College Summer can help students figure out what path is right for them. Offered during Session 1, our Data Science course combines several disciplines, including statistics, data analysis, machine learning, and computer science. With the evolution of technology in the 21st century and the rapid increase of demand for these skills, the field of Data Science is growing at an extraordinary rate. Imagine that you are the Chief Data Scientist of an online movie store. Your task is to recommend movies for your customers to watch based on collected rating data from other users. This task is similar to what Amazon data scientists do behind the scenes at IMDb, the world's most popular and authoritative source for all things cinema. IMDb, an Amazon company, uses components of data science and uses data rating to recommend movies to users. So, what are you going to do to drive revenue for an online movie enterprise? The Data Science session will offer an introduction to some techniques for recommendation systems used in the field of Data Science. Students will learn how to program using Python, review basic linear algebra and probability, build models and websites that give recommendations based on given rating inputs, and learn how to utilize selected recommendation system techniques such as user-based and item-based collaborative filtering and matrix factorization. After completing the course, students will be able to understand and utilize the same algorithms that have been applied for recommending various products in business world, as well. - Friday: Students complete their projects and showcase work. Course Prerequisites: Some exposure to linear algebra (basic knowledge about vectors, matrices, and operations) and Python programming will be helpful in taking this course, but is not necessary. Costs and fees are determined by the number of sessions a student enrolls in (one, two, three, or four sessions). Enrolling in a weekly session, includes the selected academic course* taught by UConn faculty or experts in their industry, exploratory workshops, social programming activities, as well as administrative costs, all meals, and housing in an air-conditioned residence hall. Laundry machines located inside of the residence halls are available to participants at no cost. Participants must arrange their own travel to and from the Program, at their own expense. *Additional Course Fees: Additional fees to select academic courses may apply. These fees help to cover the added cost of supply kits, studio fees, travel, entrance fees, etc. For specific course fee information, visit the course's information page. If applicable, this course fee will be applied at time of course enrollment. Application: A non-refundable application processing fee of $40.00 must be paid in order to have your application reviewed. The application fee can be paid at the last step of the application process, and is separate from enrollment costs. Enrollment: A $300.00 non-refundable deposit per session that will be collected at the time of enrollment is required to enroll in Pre-College Summer courses. This deposit will be credited to your program fee’s account balance. Take Advantage of our Spring Special and get $100 off of your enrollments costs! Spring Special! : Submit your application by Sunday, April 21st for $100 off of your course enrollment costs. Multiple Sessions: Receive a discount for enrolling in more than one session, as indicated in the pricing table above. Sibling Discount: If two or more siblings enroll in the Program during the same summer, the subsequent sibling(s) will receive a $100.00 discount off of their total Program fee. 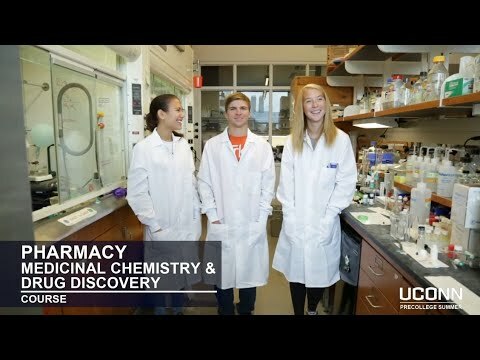 Want More Information about UConn Pre-College Summer: Data Science? Your request will be sent directly to UConn Pre-College Summer. By submitting this form I confirm that I am at least 13 years of age and give my consent to be contacted by UConn Pre-College Summer by email as well as by phone and/or mail (if provided).